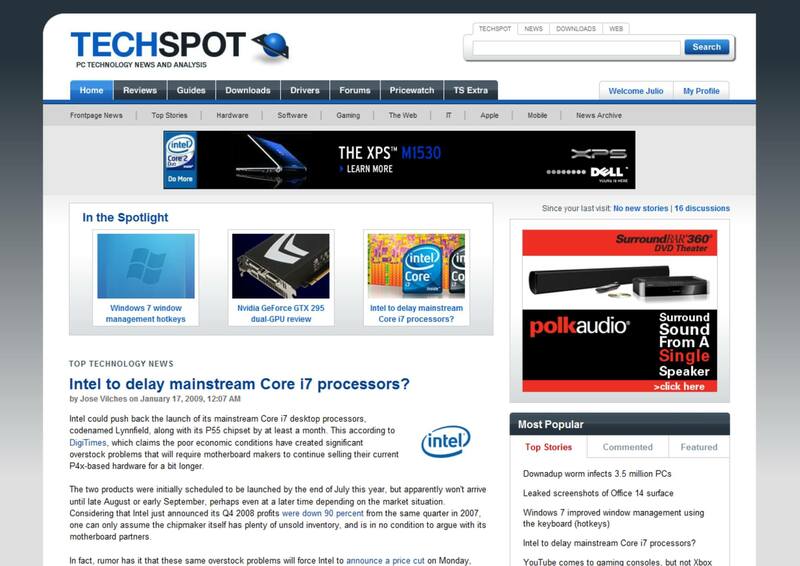 See a brief gallery of TechSpot web designs over the years below! Founded by Julio Franco in 1998, TechSpot started as a personal blog called "Pure Rendition" that reported news on the budding 3D accelerator technology based on the Rendition Verite chip, one of the first mainstream and consumer 3D graphics processing units. 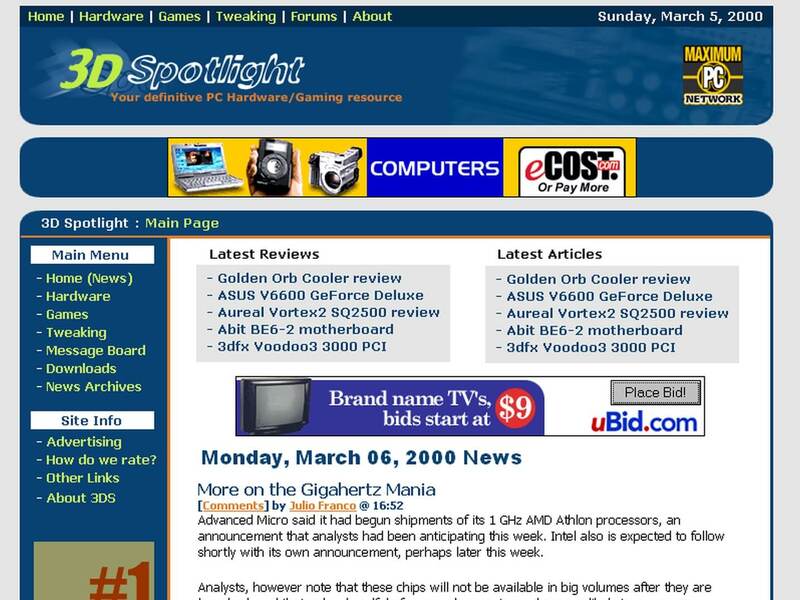 Shortly after, the site was renamed "3D Spotlight" to expand news coverage to the entire 3D industry as delivered by then major players 3dfx and later Nvidia and ATI. 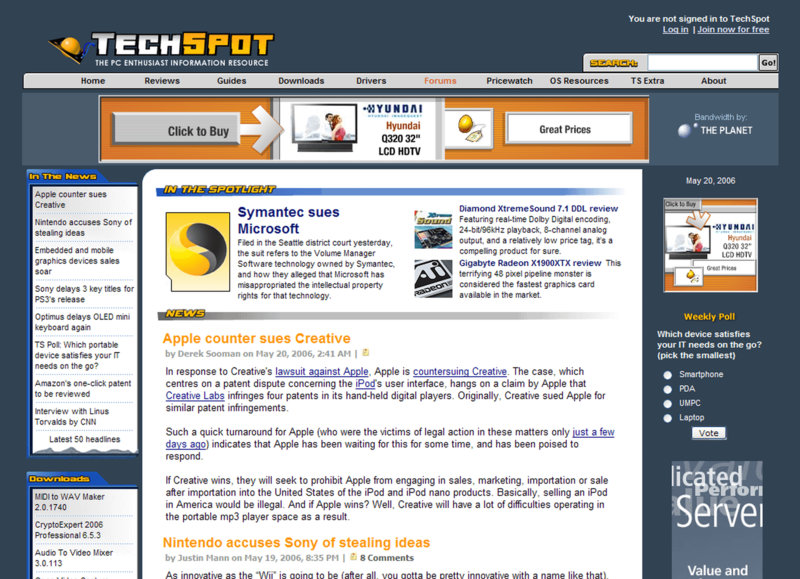 In 2001, the site was renamed and pointed to the domain TechSpot.com, which was acquired shortly after the 90s dot-com bubble for a handsome $200 as the original owners had no good use for it. From there, the site expanded coverage to the entire technology industry. 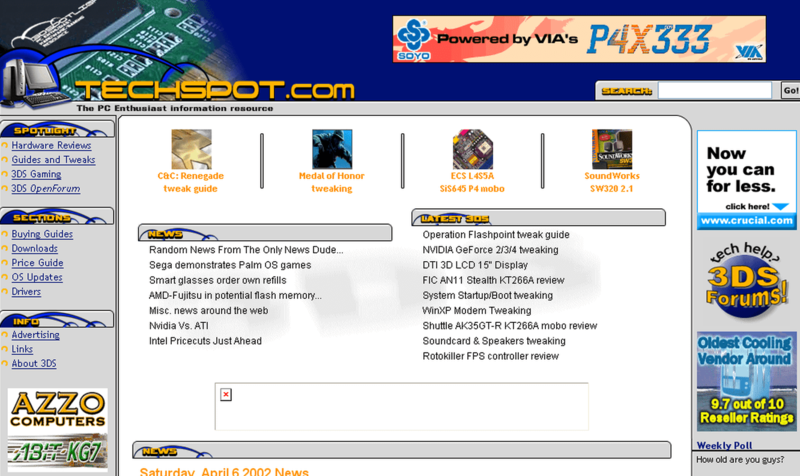 By that point, TechSpot was receiving around 1 million visitors each month and today TechSpot is read by more than 6 million users monthly while its forum has more than 160,000 registered members and over 1.5 million posts.